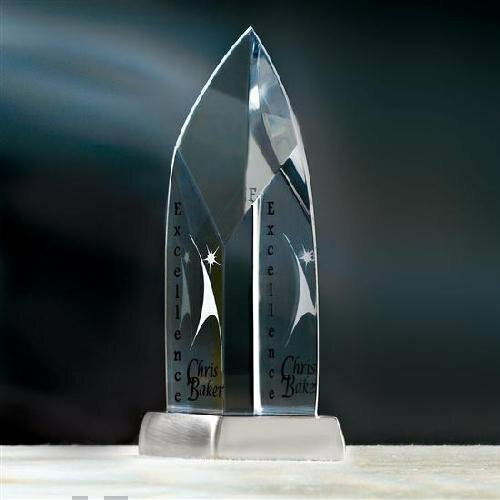 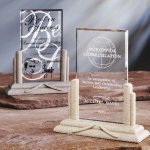 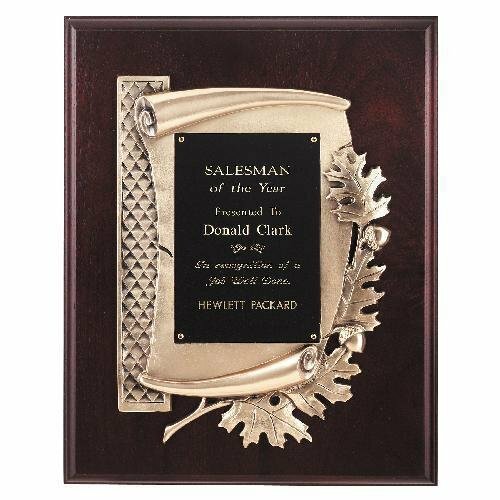 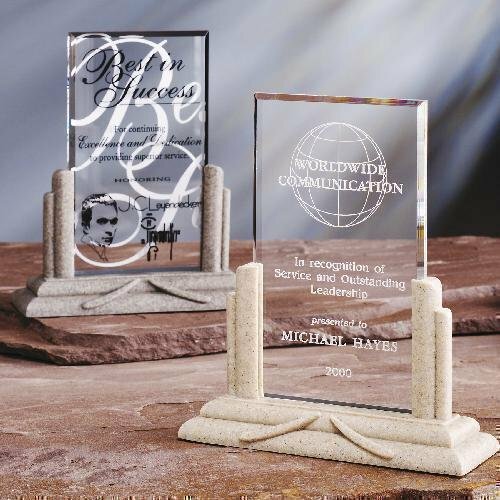 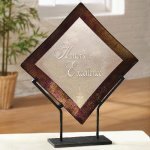 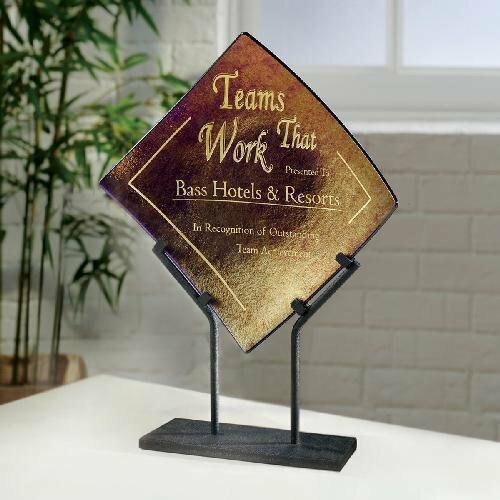 The deco styling of this stone cast base with acrylic award takes this beveled acrylic rectangle and turns it into an artifact to rival the Queen Mary. 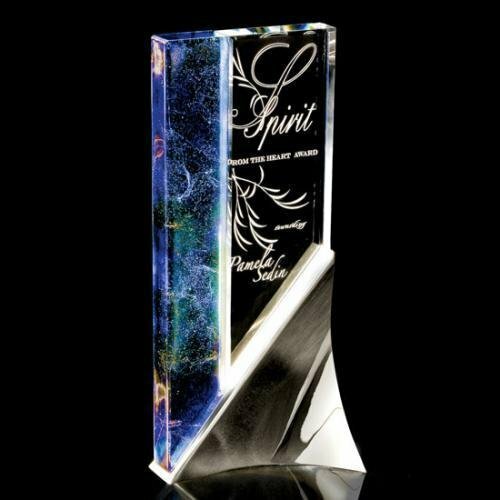 Hand carved thick acrylic tower is polished with a gleaming curved bevel and completed with a satin silver stonecast base. 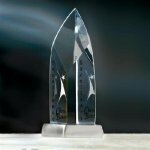 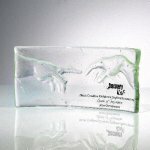 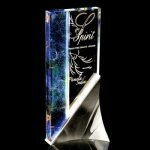 A most incredible new innovation, cast glass award enables the award to pick up details never seen before in amazing detail. 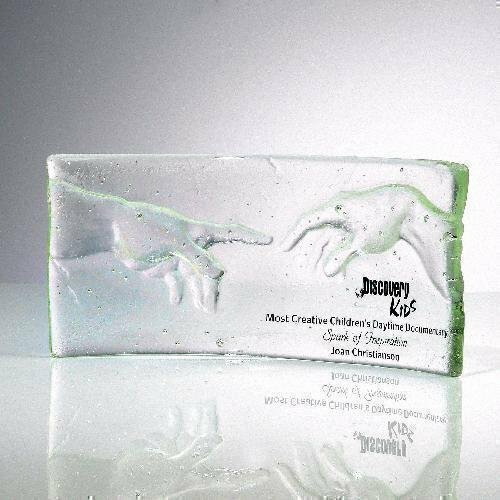 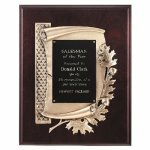 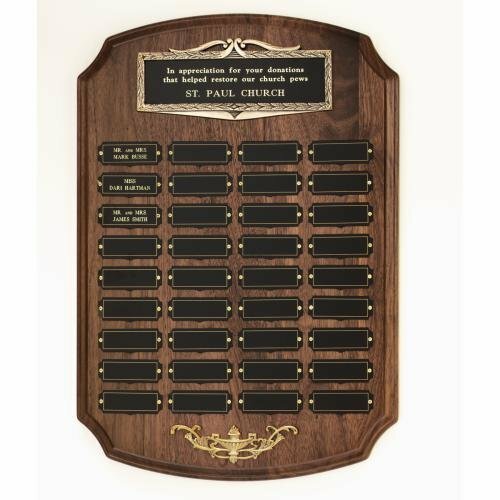 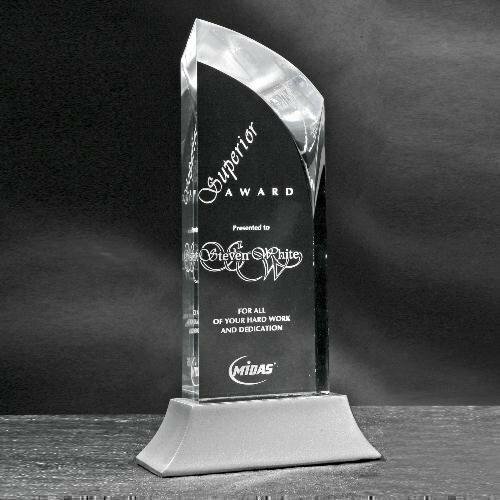 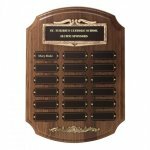 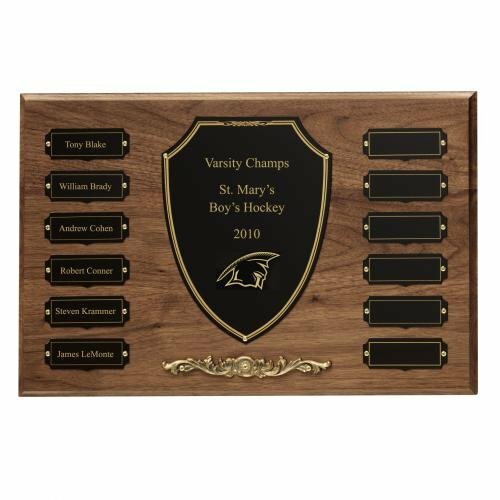 After the initial molding, the material is slumped to create a free-standing award.